Big Fish is ancient and enormous. In her 177 years she's brushed against death more than once — stalked by panners in the gold rush of 1858, nearly crushed in a rock slide in 1913, almost stranded when the lake drained into the river in 1924, and threatened by a mysterious disease that killed many other sturgeons in the early 1990s. Since then, sport fishers have hooked her several times, and she's led them through quite a chase. But today scientists and many others are trying to help the sturgeon survive. Now, we hope, only old age will claim her when her time comes. 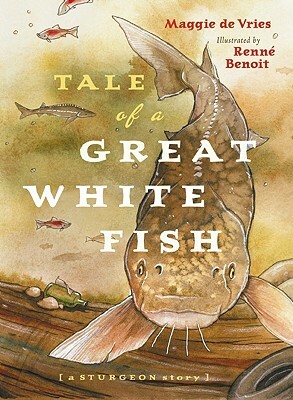 This exciting adventure tale offers science, history, and environmental lessons supplemented with a glossary, a diagram, and interesting facts about the biology and history of the sturgeon.